We’ll do more than just talk. We’ll eat together, do mindfulness exercises, and (if you’re open to it) practice meditation. This is how you’ll deprogram from the diet mindset and start to eat and move your body because of how it feels. and get back to your life. Learn how to transform guilt into gentleness. self-criticism into self-compassion. obsession into mindfulness. 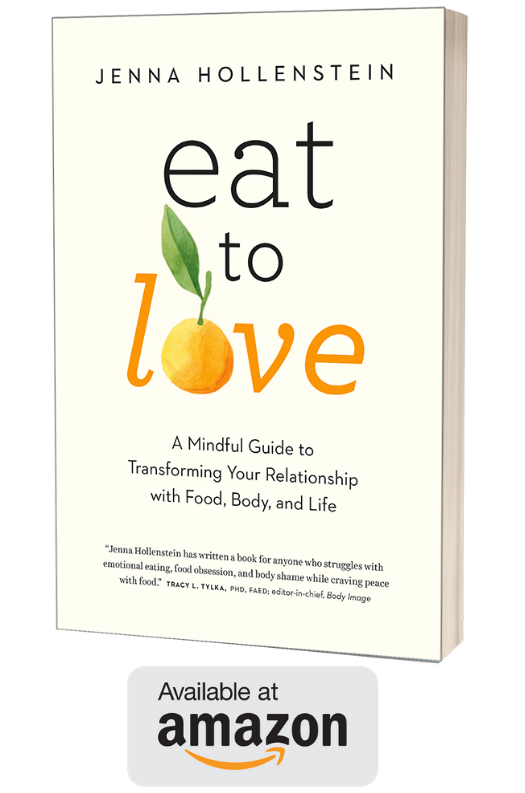 What does it mean to Eat to Love? If dieting, disordered eating, or an eating disorder has made your life a struggle, email Jenna@eat2love.com, call (617) 548-6110, or fill out this contact form. Not only did Jenna help guide me through the intuitive eating process but she helped me deal with almost decades of disordered eating and thoughts. Jenna also opened my eyes to mindfulness and meditation. These techniques, although infinitely helpful in cultivating mindful eating and a positive body image, extend far beyond these processes and instead have become fundamental aspects for the way I seek to view and live my life. I found working with Jenna to be incredibly freeing, she creates a very safe, but yet challenging, place from which to tackle these very fundamental issues most of us, fat or not, deal with daily. If you’re ready to make real, meaningful and permanent changes in your life, this is the place to start. Thanks to working with Jenna, gaining her insights and benefitting from the resources she provided, I’m okay with not striving for perfection. This has not only helped me on my journey toward intuitive eating, but also in many areas of my life. 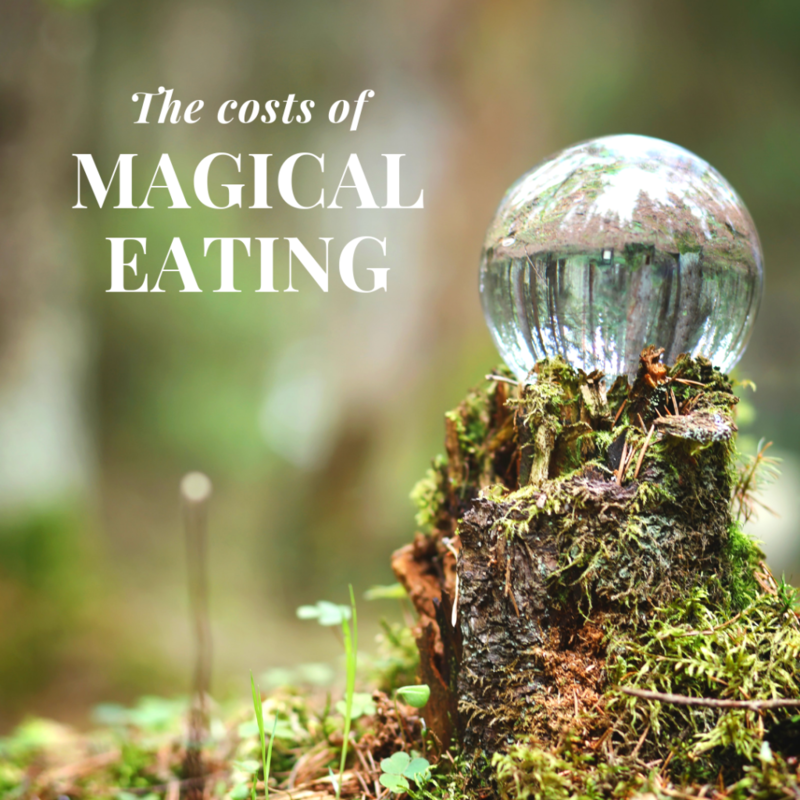 One of the most eye-opening, painful, and necessary steps to getting on the Intuitive Eating path is recognizing and acknowledging the deep and meaningful costs of magical eating to your life. These costs can be monetary, yes, but perhaps more difficult to admit is how much joy, experience, pleasure, and energy have been utterly dashed by our attempts to treat our bodies as problems to be solved. Consider using this worksheet to take such a personal inventory and see the costs of magical eating for yourself. And please, if you have costs you’ve identified that are not already included in this worksheet, I’d love to hear them.